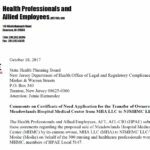 Local 5147 represents Registered Nurses, Professionals, Technical Staff, and Service Workers at Hudson Regional Hospital in Seacaucus, NJ. The Nominations/Election Committee announces that there are six (6) officer positions that are up for election this year. The officer positions are President, three Vice Presidents, Secretary and Treasurer. 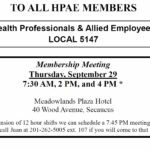 The Nominations/Election Committee announces that they are now accepting nominations to represent Local 5147 at this year’s HPAE State Convention. 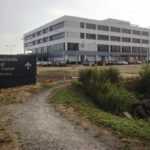 After years of disputes with the prior owners, nurses and health professionals have ratified a three-year contract with the new owners of Hudson Regional Hospital. 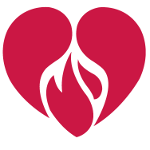 In 2017, NJMHMC, LLC. 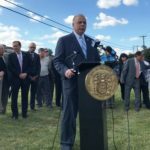 purchased the hospital after receiving approvals from NJ regulators. 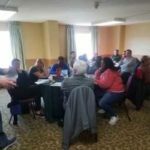 Local 5147 members at the newly named Hudson Regional Hospital (formerly Meadowlands Hospital MC) approved terms of an agreement with new owner which included union recognition rights and a commitment to negotiate a new contract within 120 days. 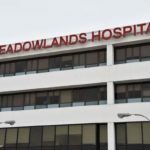 The sale of Meadowlands Hospital is continuing, after the state Health Planning Board held a public comment hearing on the transfer of ownership last week. 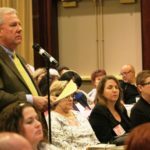 HPAE has raised concerns about the impact of the sale on the community, patient, and employees. 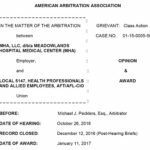 On January 12th, Arbitrator Michael Pecklers ruled that Meadowlands Hospital had violated the contract and the law by failing to annually advance nurses and techs on the wage step scale as required by the contract. 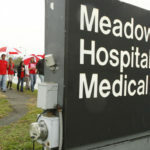 The union that has fought the private owners of Meadowlands Hospital Medical Center in Secaucus for years won a sweeping victory this week in a decision before the National Labor Relations Board. 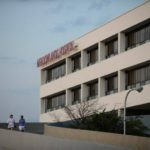 Meadowlands Hospital Medical Center, a struggling for-profit facility in Secaucus, has been approached by a buyer offering $12.2 million for the hospital, according to state records. 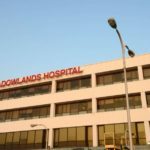 Does ‘Truth In Advertising’ Apply To Hospitals In New Jersey? Lawmaker explores tighter standards, prompted by NJ Spotlight’s investigation of Meadowlands Hospital and its ‘birth tourism’ program aimed at Russian women. 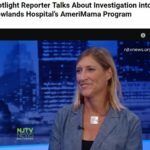 New Jersey officials appeared unfazed by Meadowlands Hospital Medical Center’s involvement in AmeriMama — a controversial birth-tourism business — when they issued the facility a new operating license earlier this year..
A company based in the Meadowlands Hospital Medical Center has been advertising online to Russian citizens, encouraging pregnant women to come to the Secaucus facility to give birth.